The following rate schedule is effective beginning July 1, 2018. Residential fixed rates are based on member usage during the 2017-18 season. The price schedule below remains in effect through June 30, 2019. Rate classes determined by prior year average usage. For current rates call (800) 255-6815 Extension 1257.  To continuously provide Cooperative members with safe, reliable energy at a moment’s notice, The Energy Cooperative (TEC) must maintain system equipment. TEC must also perform record keeping and administrative tasks. The monthly Monthly Fee covers the cost of these services.